Help Fight Discrimination on Facebook! Facebook has made a policy that allows any user to report another member because they do not like their name or think the name is being used to bullying others or is fake. However this policy is being used as a weapon by cyber bullies and religious terrorists to harass and intimidate minorities. This happened to me this week. All it takes is for someone who doesn’t like you, your name or the content of your page to send Facebook a report about your displayed name making an accusation that it’s fake and your account is suspended. No double checking, no review of your page or content, no contacting you first. Your account is suspended until you can prove you are who you say you are. This afternoon FB responded to an email I submitted concerning this issue. They are asking for additional ID information. I’ve provided 3 forms of ID already. So I sent them an image of the cover of my book and demanded my page be reinstated. In the meantime we have converted one of our FB administration accounts to serve as what we hope is a temporary FB page for Spring. You’ll find her at: facebook.com/RevSpringwolf. Update 08.26 – I’m back! One Win For The Pagan Side! Facebook itself doesn’t pore through names to check authenticity. Instead, the reports often come in bunches from users targeting minorities, making Facebook an unwitting party to discrimination. Which means someone who doesn’t like my Facebook page had to report my name and complain. Consequently FB has taken down my page and blocked me from accessing it. In order for me to get access to my page again I must hand over my privacy in the form of 3 IDs. And even then, there’s no guarantee that I will regain access or that my page will be restored. I’ve spent years building my brand and decades using the name Spring Wolf. Only to have someone with a grudge, or a dislike of pagans and paganism to make a report to FB and threaten all I’ve worked so hard to build. And it’s not only me, this issue threatens anyone who uses a name that’s out of the ordinary. This issue came to light in 2014 when FB received complaints about fake names being used by Drag Queens. SFGate reporter Kristen V. Brown wrote in October 2014 about FB offering an apology to the LGBT community for a misunderstanding of its name policy when a huge community of Drag Queens lost access to their FB accounts. SFGate is the Hearst-owned website sister-site of the San Francisco Chronicle. If this is the case, then why have a policy like this in the first place? All it does is allow bigots and haters with the ability to bully and threaten those they don’t like, or the content of pages they oppose to unfair scrutiny and discrimination by reporting someone’s name. It allows zealots to terrorize individuals who have little power over a gigantic corporation who makes it difficult to contact, difficult to report issues or abuse and difficult to fight. As of this moment, I still cannot access my FB page. I can’t post the daily tarot message as I would normally do and share news, insights and information with others. I don’t know if I’ll ever get my page back. You might be able to help. When this happened yesterday we posted a plea for help on our FB business page Spring’s Haven. In the top right corner of your FB page, click on the down arrow. At the bottom of the menu you’ll see an item to report a problem. Click on that and you’ll be given a window to tell FB something is broken. Let Facebook know Spring Wolf’s (facebook.com/ladyspringwolf) page has been suspended in an effort to bully and discriminate against pagans by a user(s) who reported her name as fake. She has been known as Spring Wolf for over 3 decades in the pagan community, she’s an author and teacher and has a published book penned by that name and we want her page restored immediately! When our community bands together we can fight this kind of cyber terrorism by bigots and zealots. 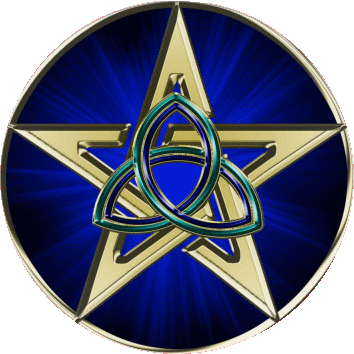 Each time we win one battle for one person, we reaffirm that the Pagan community will no longer tolerate discrimination or persecution. Even in the smallest forms. Thank you to those who make the effort to help. Reblogged this on The journey of eclectic pagan teen. YAY! I logged into Facebook this morning and saw that your page “appears” to be back! I can only see 3 posts, but they are there as opposed to nothing as the day or so before. I hope it is back and that they fix what they broke when they suspended it in the first place! Well that’s interesting. I tried logging in this morning and it’s still blocked. We’re fighting in emails right now. I’ve sent them 6 forms of ID based on their own standards set in the name policy and they refuse to restore the page. Well.. now I DON’T see it. That’s super strange! so sorry to hear this – there seems to be a lot of negative folk who are feeling it their business to express their “hate” towards any and all others. best of wishes to you, blessed-be. Done! So sorry you were a target of harassment. Facebook should let people know who is doing the reporting so you can defend yourself and not just take it on the opinion of another. Discrimination and persecution can go both ways. Ní neart go cur le chéile! – Strength in unity!